Growing Great Kids is What We Do! 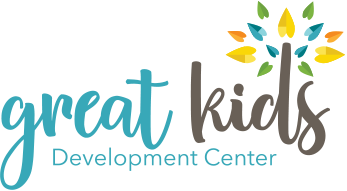 Great Kids Development Center is a Christian Preschool that fosters learning through the STEAM (Science, Technology, Engineering, Art, Math) based approach. Our Pre-K curriculum guides students through early learning experiences that foster social/emotional, intellectual, physical and most importantly spiritual development. Christian teachers create individualized learning experiences that not only help children learn, but guide them through developmentally appropriate experiences that show them how to use their natural curiosities to become productive, critical-thinkers and problem-solvers for life! Our early childhood program provides care, supervision and age appropriate educational experiences for every child in our care, however we are not a “baby-sitting” service! Every day the students are given the opportunity to grow, learn and develop as they receive quality educational experiences that allow them to learn new skills, and master the skills already achieved. Our program provides rich educational experiences that also promote spiritual growth where God is worshipped and Christian values shared. Children are taught social competencies with guidance and support. These experiences foster the development of independent, creative, confident, and thoughtful individuals who will work effectively with their peers, teachers and families on a daily basis. We believe young children are natural learners! Therefore our program supports early learning experiences through hands on, meaningful, interactive, child directed and teacher lead learning that is fun, interesting, and age appropriate.